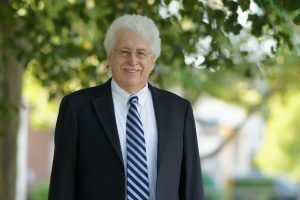 State Rep. John Kowalko brushed off a challenge by Republican newcomer Bryan Rash to earn his seventh term in the state house. Kowalko, a Democrat, defeated Rash 65 percent to 35 percent in Tuesday’s District 25 election. District 25 encompasses the southern half of Newark, from Main Street down to just south of Old Baltimore Pike and from the state line west to South Chapel Street. “I feel vindicated,” he said after receiving news of his victory. Kowalko, a retired union machinist and community activist who lives on Kells Avenue, was first elected in 2006, defeating longtime incumbent Stephanie Ulbrich. The Democrat has developed a reputation of being unafraid to ruffle feathers, even in his own party. He said he is proud of his district, noting the large turnout. Kowalko thinks his district is the most engaged and aware, and he is grateful that he gets to serve these residents. Kowalko said one of his priorities is improving government transparency by introducing legislation to reform the state’s LLC licensing procedures, and once again he plans to push for legislation to remove the University of Delaware’s Freedom of Information Act exemption. “I’m willing to work as hard as I can,” he said Tuesday night.